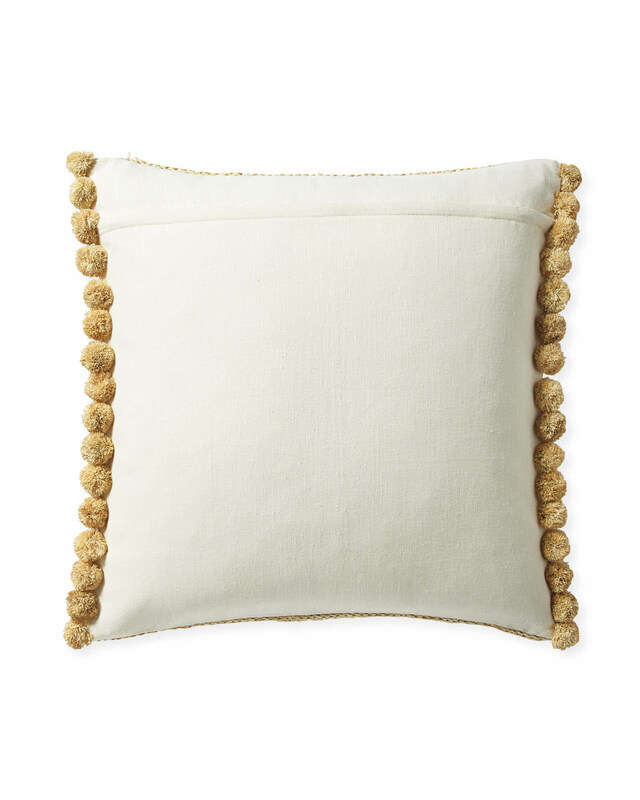 Madrona Pillow CoverMadrona Pillow Cover, alt="Madrona Pillow Cover, "
Print A sandy palette keeps things dialed down for this pillow’s fabulous texture to steal the show. 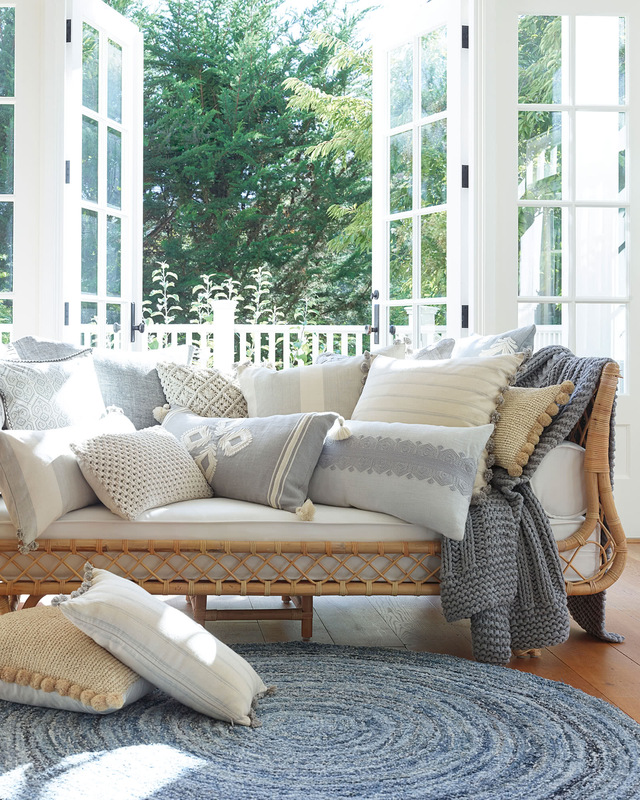 The woven raffia material has a rough-hewn hand that makes us think of sunbleached summer lawns – and we love how the raffia pom-poms add some playful motion. 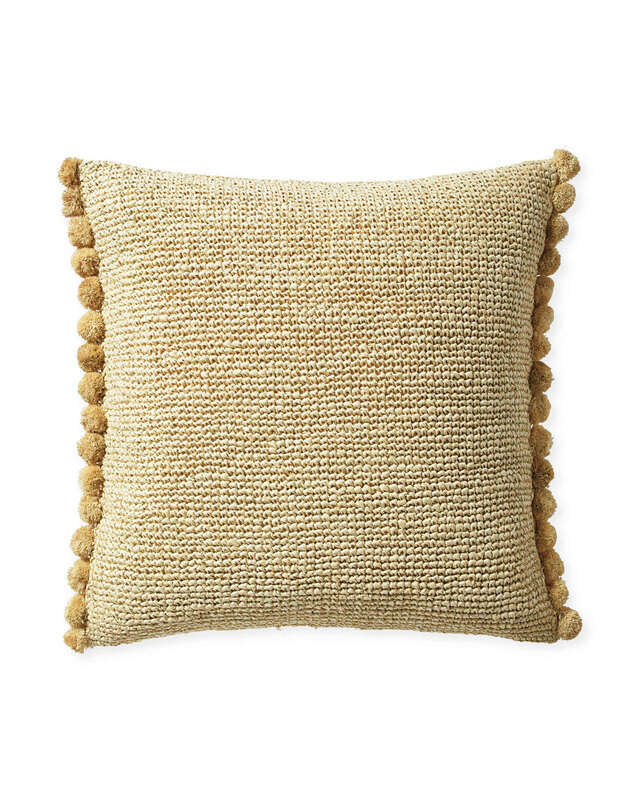 Handwoven of 100% raffia on the front; 100% white linen on the back.